SEO is the lifeline of Online Marketing which offers a visible and effective search presence leading to a considerable increase of sales, profitability, and cost efficiency for our clients. 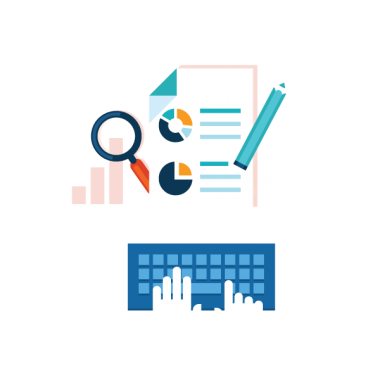 Our search engine optimization core services include: keyword analysis & strategy, website architecture optimization, code optimization, On-Page SEO, infographic creation (link building) and Activity Report. We deliver SEO strategies according to client’s objectives. It starts with a thorough analysis of the website, market condition, value proposition, USP and the site’s online authority relative to the competition. With this information, we develop a strategy that is transparent, effective and delivers a sustainable long-term ROI. The website should be easily navigable, the URL structure should be optimized with internal links in the right places, and the current design should convert the right type of customers, Often overlooked, a solid underlying structure is crucial towards achieving a solid organic presence. Business reviews, social bookmarking, directories, citations, video submissions, power page link baiting, blog marketing, local listings… off page link building activity can be executed in a variety of ways. Previously an SEO Agency, off-page SEO strategies were once our foundation and now our forte. Search Engine Optimization (SEO), if done correctly, is one of the most cost effective marketing channels the digital space has to offer. By targeting an audience that is actively seeking a particular product or service, SEO cuts through the noise and promotes your business only to those who are looking for it; at a time when they are most likely to engage. Search Engine Optimization is highly technical, incorporating search engine bots, algorithms and indexing. The technology is constantly evolving, so it’s critical that your SEO strategy is nimble and stays ahead of the latest developments. Leave the rest up to us as our experts are trained on the latest guidelines from all major search engines such as Google, Bing, Yandex and Yahoo. Do you want a comprehensive and transparent report of where your website is ranking for your target keywords? By carefully monitoring the performance of each keyword, we make adjustments to the campaign and optimize your website accordingly. You need to know exactly how traffic engages with your website, where it is coming from and how it is growing; we provide detailed reports that offer invaluable insights about your current performance and how to take advantage of future opportunities.